Anyone headed to Ukraine for a visit or a semester? 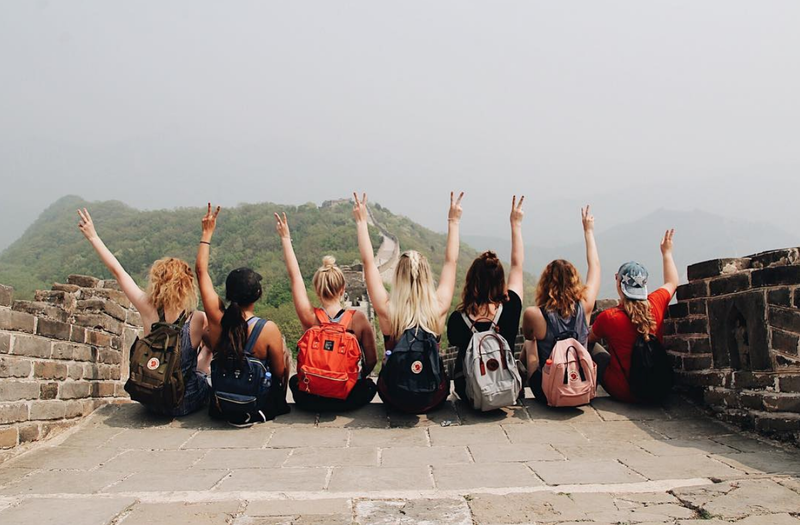 We know there is already a ton to see in your country, but we’re here to add in another must-see stop for your semester abroad. Ukraine is much, much more than you see on the news. Since ILP (International Language Programs — that’s us!) has been sending college-aged volunteers here for years, we often get a few questions about this country: what do you love about it? Is it safe? What’s it like to actually live there? But after you’ve done a tiny bit of research, you’ll realize that Ukraine has got some unreal sites you really can’t experience anywhere else. From towering, onion-domed churches, colorful streets lined with gorgeous tapestries, scarves and nesting dolls, along with the cutest babushkas and a rich history, you’ll be jumping at the chance to really delve into a country like Ukraine. Still need a little convincing? We’ve got just to place. If you’re into seeing what this country has to offer, we think you'll love this Ukraine Destination Guide ... especially since it highlights gems like Kamianets-Podilskyi. One of Ukraine's earliest towns, this city is found in the western part of the country, hovering above the borders of Romania and Moldova. It's within a stone's through (or train ride) to one of the most popular vacation spots for our volunteers: the city of Lviv. Get a guide on what to see, do, and where to eat in Lviv here — it's a top rated vacation spot for more than a few reasons. 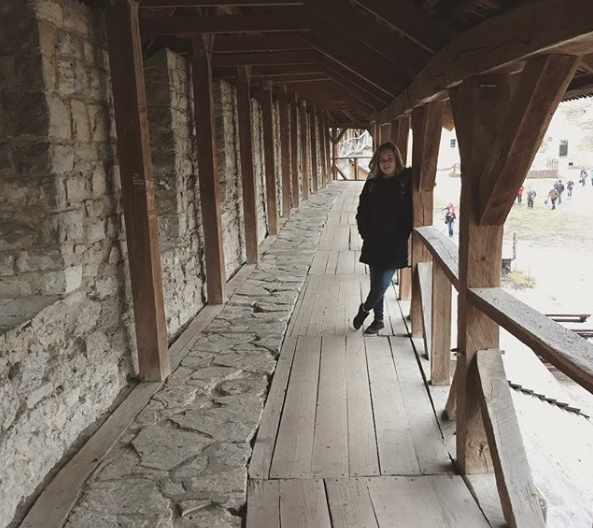 Volunteers typically always take a vacation to Lviv during their semester, so it makes sense to get here via Lviv, but volunteers also call the city of Kiev home, so we have info on that route as well. 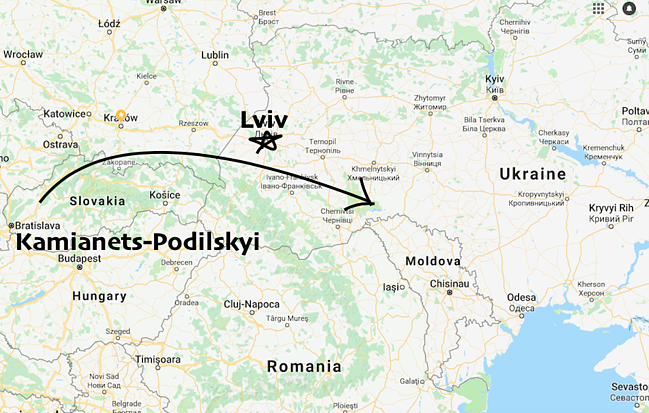 If you'd like to go from Lviv via train, you can train from Lviv to Chmenizkij, then take another train from Chemenizkij to Kamianets-Podilskyi. The first train is about 3 hours long, and the second train is just over two hours. The city of Chemenizkij has a lovely university and a few other stop to admire if you want to break up your trip. You can check out a train timetable here. Trains depart daily, and plan on spending about 7 hours on the train. Some trains depart in the evening, meaning you book a sleeper train and snooze until you arrive in Kamianets-Podilskyi. When it comes to booking trains we love using this site. 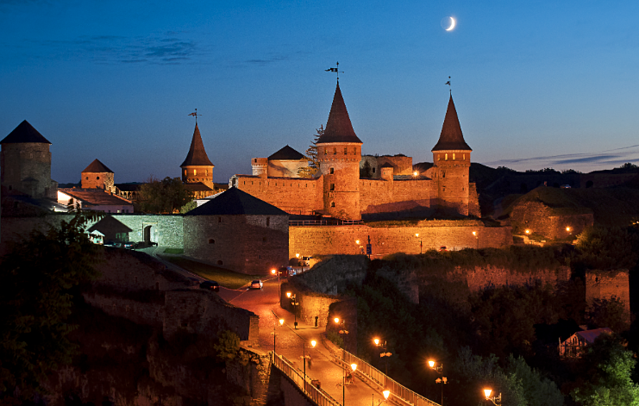 The main pull of this city, Stara Fortetsya (the pretty fortress and castle) is the place to be. This structure has been shaped by hundreds and hundreds of years but also by quite the smattering of cultures. For about a thousand years, Stara Fortetsya was at the center of a huge trade route, meaning it was a pretty hot commodity — everyone wanted it. It passed from Ukrainians to the Polish then onto the Turkish, then on to the Russian Empire, with each conquering culture adding on more and more towers, bridges and fortifications (oh, and dungeons). At one point, it was even turned into a mosque; if you look closely, you can spot a minaret. 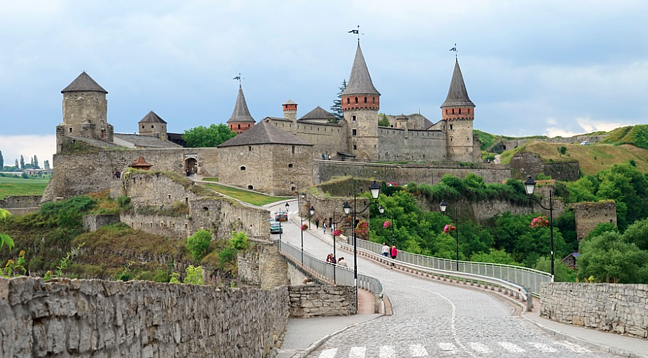 If you want to feel like you’ve stepped back into medieval history, Kamianets-Podilskyi is where you should head. I’m betting you’ve heard of the Seven Wonders of the World … but did you know there are Seven Wonders of Ukraine? 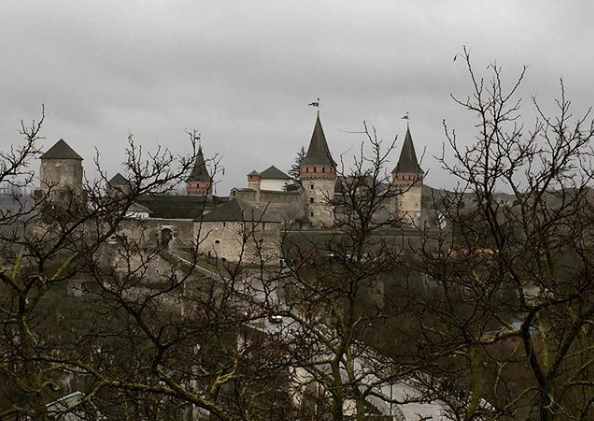 Kamianets-Podilskyi's ancient castle definitely makes the list for good reason. A tiny history lesson and seeing a few snapshots of what this place looks like should be convincing enough. Like most places, Ukraine has a high season in the summer months, so it'll be the busiest around July and August. We suggest seeing this castle in the shoulder seasons, in the spring (May or June) or just after the high season in September. However, the castle is open year round, so just dress for the weather if you're visiting in the cooler months. It's 50 UAH to enter the castle. Additional activities (like a bit of archery) will cost more. Have your heart set on a semester in Ukraine? If you’ve got a couple of questions (deciding to live abroad is a big decisions after all! ), that’s also not a problem … Come talk to an ILP representative about what volunteering and teaching English is like, how to pay for your semester abroad and other tips, we can also help with that.